Who doesn’t love running along the beach? The smell of the surf, the wind in your hair, rocking your Baywatch one-piece — is there really anything better? Vancouver’s got some great beaches all linked by the best waterfront pedestrian pathway in the universe. The best-known segment of these paths is the venerable Stanley Park Seawall and that’s where this route is headed. Officially a 13- and 16-kilometre run from the Cambie Running Room, this route can serve as the starting point for a clockwise tour of the entire Stanley Park Seawall (which would clock in at 21 kilometres by going all the way around the Seawall, past the Rowing Club, through the Georgia Street underpass to Lagoon Drive, Park Lane and Beach Avenue before rejoining this route just before English Bay Beach.) If you’re short on time, you could even turn around at the English Bay Inukshuk and make it a 10k. 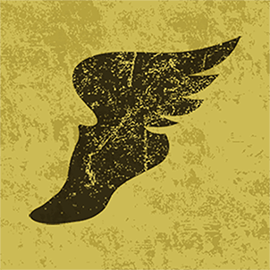 Training for the Vancouver Marathon? 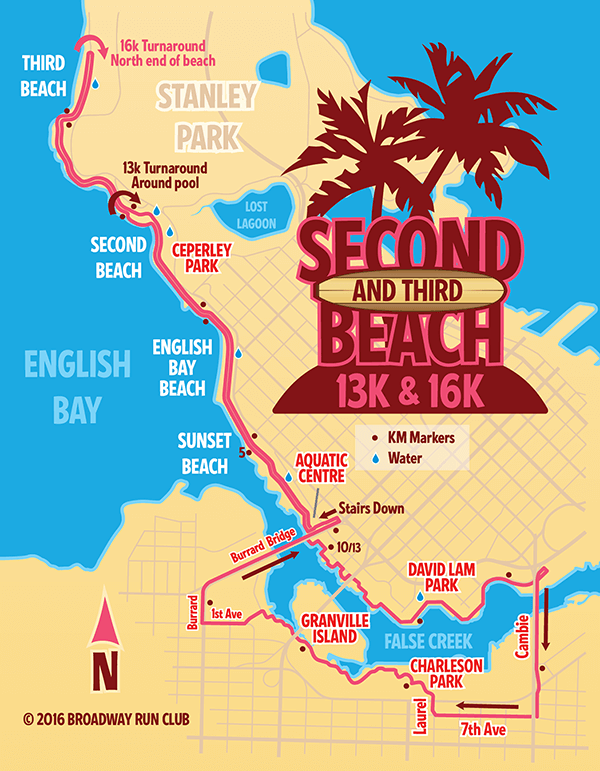 Check out the First Second Third version of the route that follows the marathon course over Burrard Bridge and onto Pacific Avenue to English Bay Beach instead of heading down the stairs to Sunset Beach first. 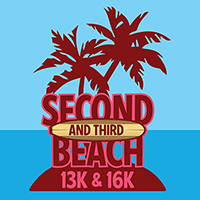 Less beach, more marathon.